Eric Matthew Frein, courtesy of the Pennsylvania State Police. 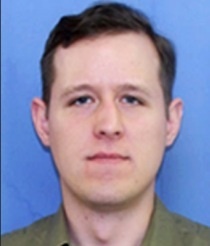 Blooming Grove, PA – The Pennsylvania State Police today announced they have issued an arrest warrant for Eric Matthew Frein, in connection with the shooting of two Pennsylvania State troopers Friday night at the Blooming Grove station. Noonan added, after the vehicle was processed evidence was found in the vehicle that matched evidence found at the scene – additional evidence was found at the suspect’s residence, tying all of the evidence to this incident and suspect. State police say that he is considered armed, and dangerous. They believe someone, somewhere knows something about his whereabouts. Please contact the State Police tip line at: 1 (866) 326-7256.